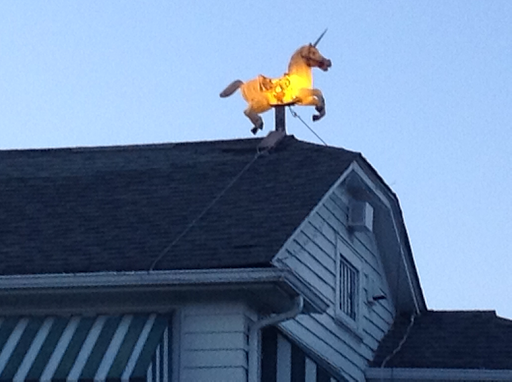 While driving through South Park a few days ago, I spotted this magical unicorn on the top of a vintage craftsman bungalow home on the main street going into the village. What a hoot! I can only imagine what delightful characters live inside this vintage home. I almost knocked on the door to get the story, but was running out of time. Next time I visit South Park though I'm going to stop by and say hello!